I have been incredibly blessed to have met some amazing yoga teachers in my time and I am always in awe of the hard work and dedication that goes into both their own personal practice and their teaching. I decided to create a YogaClicks Ambassador programme to celebrate these yoga teachers - sharing their stories, and their inspirations, and helping them spread the word about what they are creating now. So I am delighted to announce that my first ambassador pick is - drum roll please - Sarah Rous. Sarah qualified as a yoga teacher four years ago, having practiced yoga for two decades. She teaches a creative Vinyasa Flow and is also qualified to teach pre- and post-natal yoga. 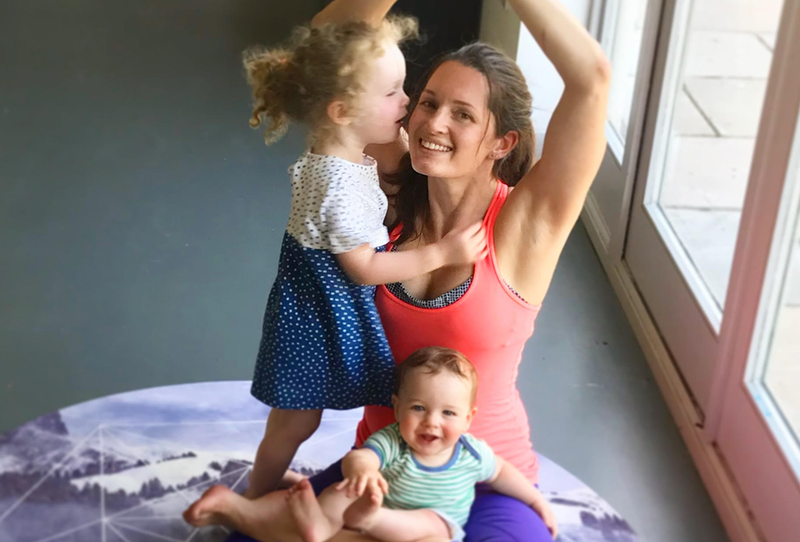 Her enthusiasm is infectious and she is passionate about introducing new students to yoga and helping them find the right yoga for their body and lifestyle. 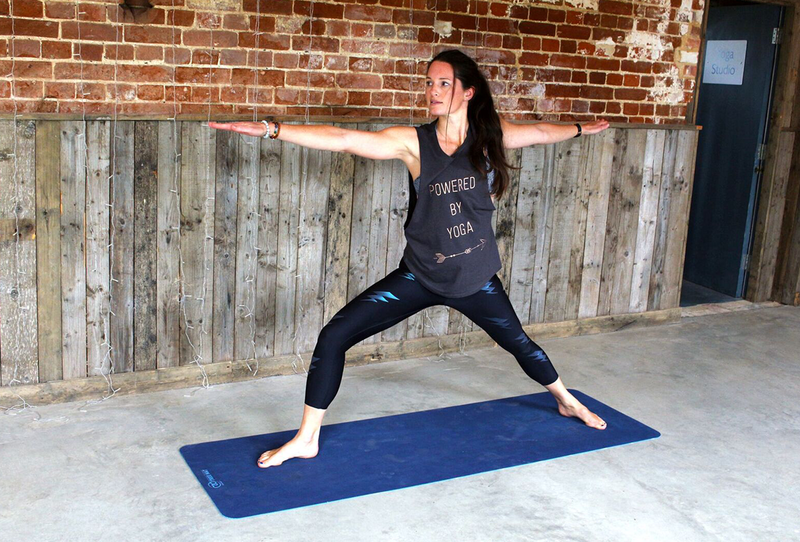 Sarah teaches yoga in Suffolk and is the owner of Henham Yoga Studio at Henham Barns near Southwold. This is a spot close to my heart as Henham is the home of Latitude - where I launched 2 of my books and where YC taught yoga for 9 years. Read on to find out more about Sarah’s yoga journey, her most hilarious moment in a yoga class, and her favourite brand of chocolate! Q: Tell us about your yoga journey. A: I first discovered yoga back in the nineties (!) when it was still seen as slightly weird and hippy compared to how wonderfully accessible yoga is now. Yoga has helped me calm my anxiety and discover space in my body, both much needed as I used to run marathons and work in financial sales in the City. My yoga journey has taken me to Mysore in India, Costa Rica, Bali and now Southwold in Suffolk where I own and run a yoga studio. It may not be quite as exotic here but it is so beautiful living near the sea. My husband, two young children and I live at Henham Park, Suffolk - where Latitude festival is held. Henham yoga studio is in a converted barn complex we transformed ourselves in 2015 (I was heavily pregnant and endlessly painting walls!) Before launching the yoga studio, I organised Yoga + Fitness events. Fifteen of these events have seen over 1,000 people enjoy themselves and experience yoga. Definitely my favourite part about the yoga studio are the people who come to class. It’s such a privilege to have been the first yoga teacher for many locals and we have grown into a large, fun and friendly community. This is one of the main reasons I’m so excited to be YogaClicks’ first ambassador as bringing yogis together is a shared ambition. Q: Why are you a yoga teacher? A: I wish the answer was that I had the calling from a young age....but it was more a practical decision. I fell in love with my future husband and he manages his family estate in Suffolk so I had to move to the country and couldn’t take my job in finance with me. There was a plan B if yoga teaching didn’t work out, but as that plan was working in insurance I’m very grateful that I love teaching and my classes are full. Q: What’s the best thing a student of yours has ever said to you? A: That I have changed their life. Pretty humbling. Q: Who is your most important yoga teacher, and why? A: My three-year-old daughter; she gets so excited when mummy is going to do yoga! But for me it’s even more fun as I’m down at her level and watching and learning from my mini guru. It’s all simply play to her and falling out of tree pose is funny every single time. She moves unselfconsciously the way her body tells her to and she even gets into pranayama and chanting. Yoga can be so serious, so it’s good to have a reminder that on the mat it’s just body and breath, and off the mat it’s being compassionate and loving. Q: If I could grant you three wishes for your career as a yoga teacher what would they be? A: 1) to communicate the gift of yoga without injury to students or myself. 2) to have time for further training. 3) to continue to refine and develop my teaching style and authentic voice. Q: What has been your most hilarious moment in a yoga class? A: When I taught 60 people Disco Yoga to a playlist & routine I’d made up. Let’s just say some moves worked better in my head. We took an office poll and everyone here is definitely up for trying this yoga class! 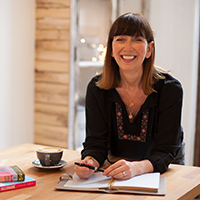 A: Creating is my favourite aspect of running my own business so my main challenge is trying to rein in the projects. 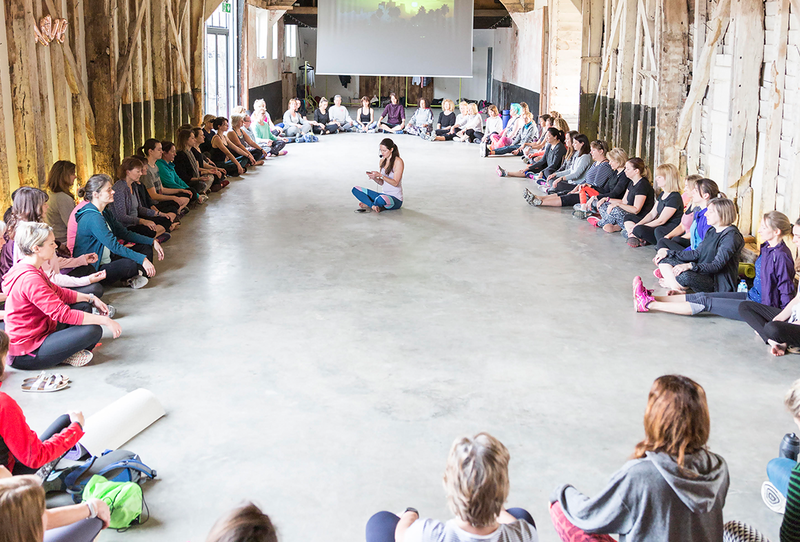 Short term I want to bring more classes to the yoga studio and long term, something much bigger in the yoga events sphere. A: That the website is a huge repository for all things yoga and efficiently brings it together under one roof. For example, you can be part of a global community (Yoga Map), find out how yoga can help your friend’s arthritis (Yoga Meds), buy a beautiful mala or chakra bracelet from the yoga shop and read an article from the blog about what yoga clothes and yoga equipment to pack when you go on a yoga retreat. Alright, on to the hard-hitting questions. Q: You’re a new addition to the crayon box – what colour would you be and why? A: My daughter and I are obsessed with pink. I’ve painted our kitchen a very pale pink and soon the yoga studio will be turned a shade of calamine. Q: You find a lottery ticket for £10 million. What do you do with it? A: Invest it all in a cross-asset portfolio and split the annual profits between local charities & improving our businesses. Q: What were you like in school? A: Really shy! Too scared to read aloud or even raise my hand in class. Who would have thought I was capable of speaking and teaching in front of hundreds of people? We’ll be looking into that chocolate ASAP. Thanks, Sarah! Find out more about Sarah Rous on her Instagram @sarahrousyoga, on Facebook @pandita.co.uk or check out Henham Yoga Studio near Southwold, Suffolk (http://www.henhamyoga.com or @henhamyoga on Instagram).